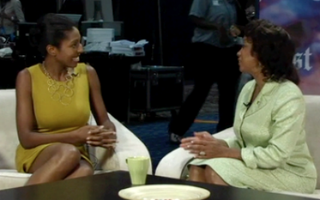 (The Root) — Thursday at the Republican National Convention in Tampa, Fla., The Root's Keli Goff caught up with Florida's lieutenant governor, Jennifer Carroll. During the discussion, when Goff asked her about controversy over recent changes in Florida's voting laws, which critics say disproportionately affect minorities, Carroll characterized current regulations as generous. She touted the fact that the state has eight days of early voting (which was reduced from 12 under a 2011 law) and said, "The process has really opened up in the state of Florida — I can't speak to other states — to have more opportunities to have access to vote." What do you think of the lieutenant governor's remarks about voter access in Florida? See the interview below.